This poster by Henry George Gawthorn depicting the pier is due to come up for auction at Swann Auction Galleries in New York next week where its expected to sell for £5,000 and £7,500. 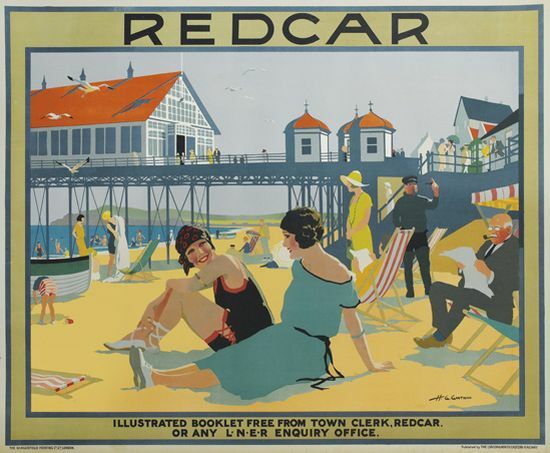 I really like the old railway posters. I managed to find a nice Yorkshire coast reproduction (after a long internet search!) for my flat which shows Staithes. Also picked up a nice ‘Middlesbrough Dock’ reproduction card from Andy Hawkins in Saltburn, which is very rare these days!